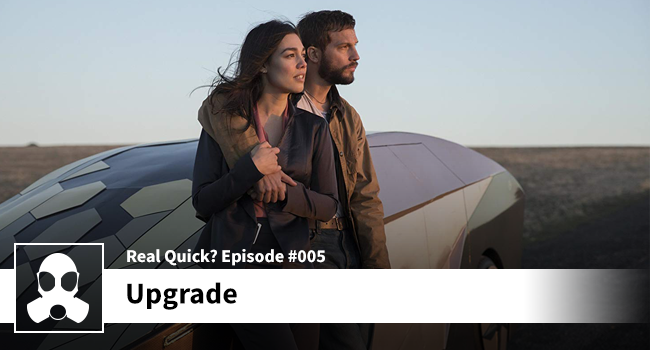 Upgrade was a pleasant surprise and although the trailer shows a bit of levity in the film (Grey joking around with Stem) the movie has a very serious and heavy tone. If you’re into lean science fiction that isn’t too ‘out there’ vis-à-vis planet hopping or alien invasion stuff, you’ll dig it. It fees like a Neil Stephenson or William Gibson novel come to life (read: cyberpunk) and I love that sub-genre of sci-fi – especially when you keep the narrative tight and simple. My verdict: check it out, you won’t be disappointed.